"ghd eclipse® is our ground-breaking new styler that styles faster with less heat. With the ability to tackle any hair texture quickly and easily, creating long lasting gloss and unbeatable shine. Using new, innovative and patented tri-zone™ technology – developed exclusively by ghd scientists to take hair styling into a new era – ghd eclipse® can radically transform even the most challenging hair, quickly and easily without turning up the heat. It can also style larger sections of hair in a single stroke, making styling significantly faster on all hair types." I had been using my current ghd straightener for well over 9 years and couldn't fault the results. 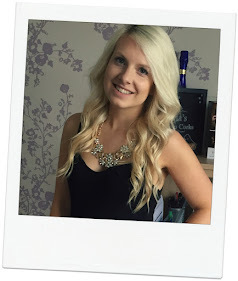 The ghd IV styler was worth every penny and helped me achieve a sleek straight style in minutes. When I got my hands on the latest ghd eclipse professional styler I couldn't wait to compare it to it's ancestors. With a lot more technology involved and a sleeker design it seemed ghd had upped their game even more. I really like the new design, compared to my old pair, the shiny black case, the black plates and silver edges all look a lot more expensive than the old matt black design. The outside of the straightener doesn't heat up as much as the old designs which makes straightening and curling a lot easier as you can hold the end without the fear of being burnt. Like other ghd straighteners there's no choice of temperature, you turn it on and you're ready to go. However the eclipse styler is at 185º, which ghd describe to be the perfect temperature for all hair types, and is maintaine din all the right places due to the 3 heat sensors on each side of the plate depending on how much hair is being straightened. I'm not sure whether it's psychological or actually due to the lower temperature, but either way, my hair feels softer and looks smoother and shiner. The eclipse has a button on the outside to turn it on and off and a led indicator display on the inside. I much prefer the placement of the button on the outside to avoid any accidents and the led display looks good and is easy to understand. I like the rubber lid which helps keep them stored easily and can be put on straight after they're been used. The cable is also a decent length for getting ready in hotel rooms with awkwardly placed sockets. My hair feels smoother, it straightens quickly and they're fool-proof to use. I'd definitely recommend the ghd eclipse to anyone who is on the lookout for a new set of straighteners who doesn't mind spending a bit more for quality. What brand of straighteners do you love?